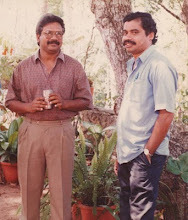 Bhagyadevatha's 100th day has been celebrated.Sathyan sir's full crew attended the function. Fazil was the chief guest. Ilayaraja said that when he first heard the online of the story he was very impressed about that and he informed Sathyan sir that this film surely will be a big hit.